MUMBAI, India - April 15, 2019 - PRLog -- Our commitment to progress has been the inspiration in our transformation to becoming a technology-driven logistics solutions provider. 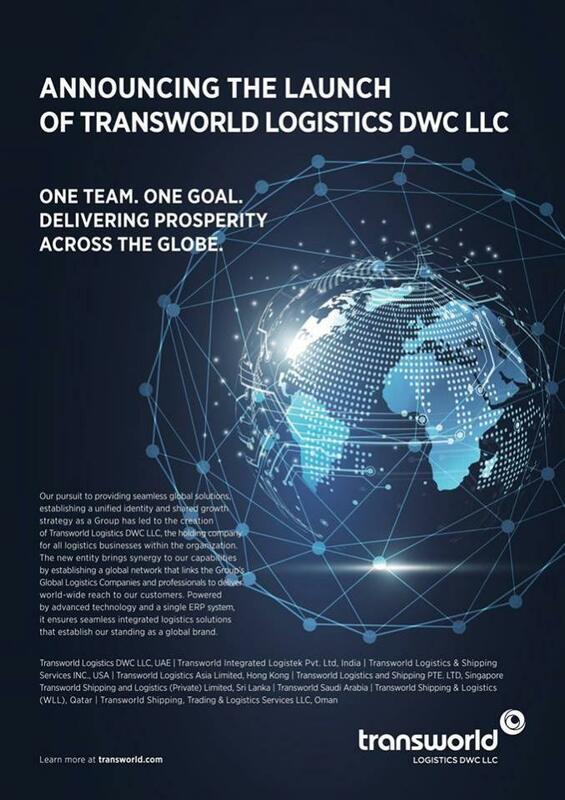 To provide seamless global solutions to deliver prosperity across the globe, we proudly present Transworld Logistics DWC LLC, the holding company for all logistics businesses within the organization. The new entity brings synergy to the capabilities by establishing a global network that links the Group's global logistics companies and professionals to deliver world-wide reach to its customers. Powered by advanced technology and a single ERP system, it ensures seamless integrated technology-driven logistics solutions that establish itself as a Global brand. With Transworld Logistics DWC LLC, we want to consistently create experiences where passion and purpose come together to innovate, excel and contribute to a better future. As an integrated and holistic global shipping and logistics conglomerate, we look forward to the future with confidence and continue to expand our horizons, by delivering innovative solutions, supported by bold, resolute and decisive action. We would like to position our self as the preferred business partner for global logistics solutions, committed to the highest standards of excellence.